Therm-All’s 2” condensation blanket is comprised of Owens Corning’s EcoTouch fiberglass insulation with Pure Fiber® technology. Many post frame builders choose Therm-All’s condensation blanket for its superior moisture protection properties and acoustical sound performance. 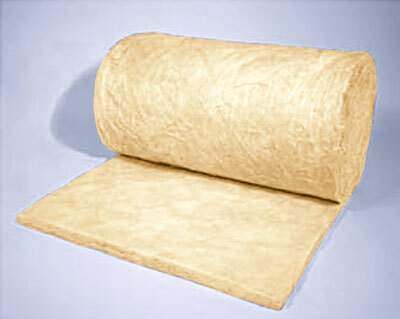 Additionally, the vapor barrier enhances light and provides an improved interior appearance. Therm-All’s 2” condensation blanket is available in custom lengths to fit any building dimensions and is offered in 48” and 72” widths. Contact your Therm-All representative or email info@therm-all.com for more information about our condensation blanket for post frame buildings.